Pragya Thakur, facing trial in the 2008 Malegaon blast case, will take on Digvijaya Singh in the Bhopal Lok Sabha constituency, a BJP stronghold. 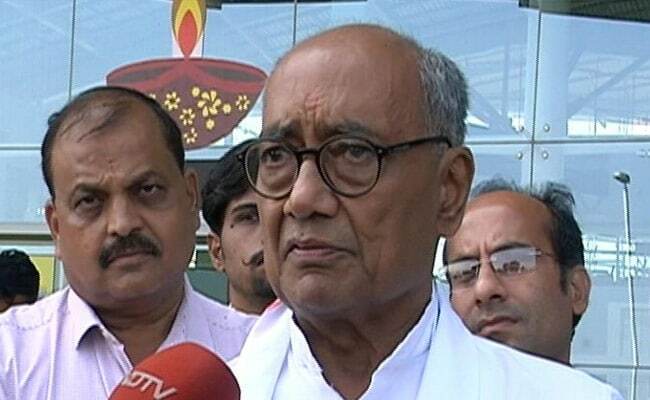 Hours after the BJP fielded Sadhvi Pragya Singh Thakur against him from Bhopal, Congress leader Digvijay Singh on Wednesday took a dig at her, saying he hoped she will be "attracted" by the "peaceful and dignified" environment of the capital city. Pragya Thakur, facing trial in the 2008 Malegaon blast case, will take on Mr Singh in the Bhopal Lok Sabha constituency, a BJP stronghold. The Congress stalwart took to Twitter to "welcome" the right-wing activist, who spent several years in jail before being granted bail in 2017. Mr Singh said he hoped the "peaceful and dignified" environment of Bhopal would "attract" the leader. "I welcome Sadhvi Pragyaji in Bhopal and hope that the picturesque city's peaceful, educated and dignified environment would attract you," the former chief minister tweeted. "I pray to Maa (goddess) Narmada for Sadhviji and seek blessing from Narmadaji (holy river) so that we all walk the path of truth, non-violence and religion. Narmada Har (glory be to the Narmada)," Mr Singh said in another tweet. Sadhvi Pragya was arrested by the Maharashtra Anti-Terrorism Squad in the blast case. On December 27, 2017, a special NIA court had dropped stringent charges under the Maharashtra Control of Organised Crime Act against her and other accused. Born in Bhind district of Madhya Pradesh, Pragya Thakur has had a long association with the RSS, the ideological mentor of the BJP. The high-profile poll battle between Sadhvi Thakur and Digvijaya Singh, a known RSS critic, will be close watched.